Time to pitch a no-hitter. America's pastime is back with a hard-hitting men's baseball ring that absolutely crushes other styles. Some sports wedding rings get a little gimmicky, but the Baseball Ring is all business, all the time. 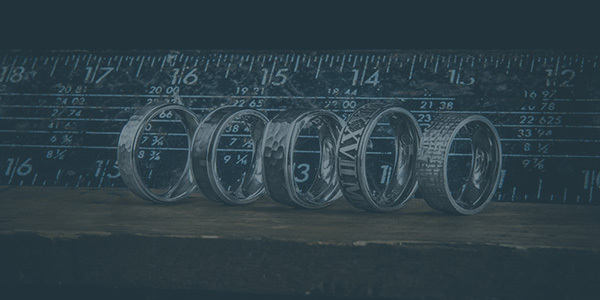 The stats… This is a comfort-fit dome profile men's wedding band crafted from an exotic metal that is like titanium in most respects: It has a great strength-to-weight ratio, it's comfortable to wear, and is hypoallergenic. But here's the twist. When you heat past a certain threshold, it forms a coating that is incredibly hard and incredibly durable, almost like ceramic, that gleams in the darkness when polished, which this ring is. The result is unlike anything else out there. But as great as material is, it's the style of this baseball ring that steals the show. Carefully carved into the metal is a highly detailed stitching pattern that perfectly recreates the look of an actual baseball. You can almost feel the leather when you look at it. For anyone who's ever played or is a devotee of the game, there's nothing more stylish, or cooler, than this one-of-a-kind baseball wedding ring. Please note: Due to the quality of the material used to create this ring, there is a $35 fee for rings sized 13 and higher. This added cost will be shown when you checkout. The best sports have always been more than just a game, just like the best rings have always been more than just an accessory. 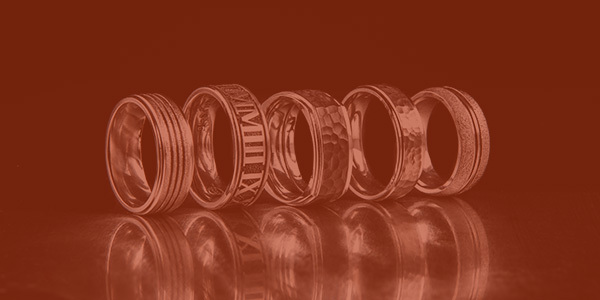 See the best of both worlds in our exclusive collection of sports wedding rings.